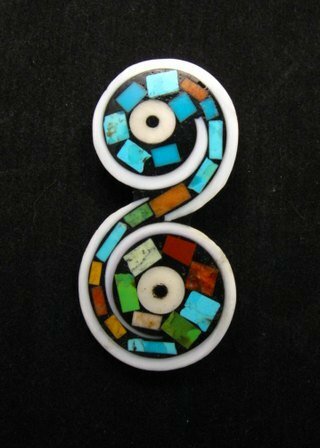 This unique one-of-a-kind folksy multigem inlay pin/pendant was handmade by Santo Domingo (Kewa) artist Mary Tafoya. 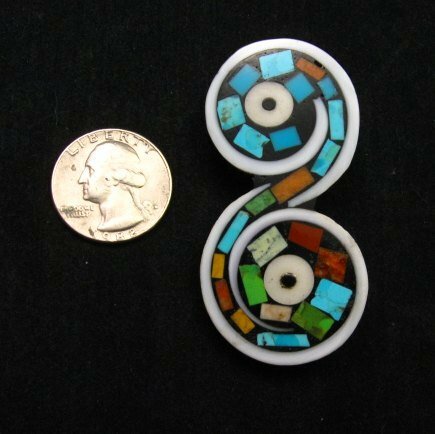 The pendant has a great shape with inlays including blue turquoise, apple coral and white conus shell. It measures 2-1/2 inch long by 1-1/4 inch wide. Mary has attached a pin and necklace bail so the piece can be used as either a pin or a pendant. The bale will handle a chain over 1/8 inch wide. Brand new and in perfect condition. Hallmarked by the artist. 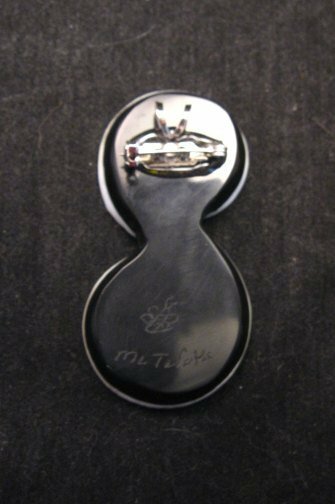 It's etched M L Tafoya with a butterfly. Authenticity card and gift box included with your purchase.